What’s So Bad About Rats? By Chris Williams on December 12, 2014. 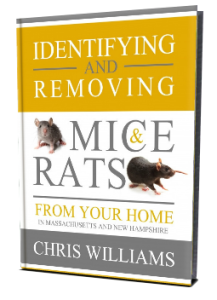 Most of us are squeamish about rats, especially about the idea of having them anywhere near our homes. Why do we hate rats? Are they really so bad? Maybe the answer is that we can’t help but fear rats. Our hatred and avoidance of rats is primal and deep-seated, going back to the early 1300’s when rats and their fleas were responsible for the deaths of 1/3 of all the people in Europe. Rats meant plague (the “Black Death”); plague meant a gruesome death, and few people were spared. In centuries past, rats spread diseases such as plague and murine typhus. Even today, rat bites can cause rat-bite fever, and rats infesting rotting and contaminated food can spread food poisoning to people. Occasionally, a study of the disease potential of rats will have surprising results. James Childs of Johns Hopkins Medical Center studied infectious diseases in Baltimore’s rats and found that 2/3 of them were infected with hantavirus, a sometimes deadly disease when transmitted to humans. A recent survey found that New York City rats carry even more diseases than previously thought, including E. coli, Salmonella, and Clostridium difficile, all of which can cause life-threatening gastroenteritis in people. The words “filthy” or “dirty” and “rat” often go together, for good reason. Think about the places rats inhabit (sewers, dumpsters, alleys, garbage dumps) and the types of things rats eat (animal or human feces, dead animals, rotting garbage). A favorite hangout for urban rats is in back of restaurants and supermarkets near the dumpsters and loading docks where there’s plenty of free garbage. Rats pick up germs on their feed or fur and transfer them to foods and to surfaces where people live and eat. One-fifth of the world’s produced food is never eaten by people; instead it is eaten by rats or contaminated with germ-laden rat droppings, urine, or hairs. Over a period of a year, a single rat will produce 25,000 droppings, and a pair of rats will shed one million body hairs. A certain amount is legally allowed in the foods you eat! Besides damaging foods, rats damage buildings and materials by gnawing. About 2% of their day’s activities involve gnawing on everything from structural support timbers to water pipes and gas lines. Rats can easily chew through plasterboard, wood, vinyl siding, fiberboard, and with a little more effort, building materials such as cinderblock, aluminum siding, and lead sheathing. They often gnaw on electrical wires, bringing down transportation and computer systems, and starting fires. Outside, rat burrows undermine exterior walls, causing building collapses. Their burrows damage roads, levees, sewer systems, and railroad tracks. Do Rats Have any Redeeming Qualities? On the other hand, rats are important as subjects in laboratory research studies, saving lives through improvements in treatment of diseases and evaluation of drugs and vaccines. Rats are important members of the ecosystem and help to maintain the balance of nature by eating insect and weed pests, and dead animals, and by serving as food for larger animals. That same burrowing that can cause damage also aerates and improves the soil. Too bad we still don’t like rats.